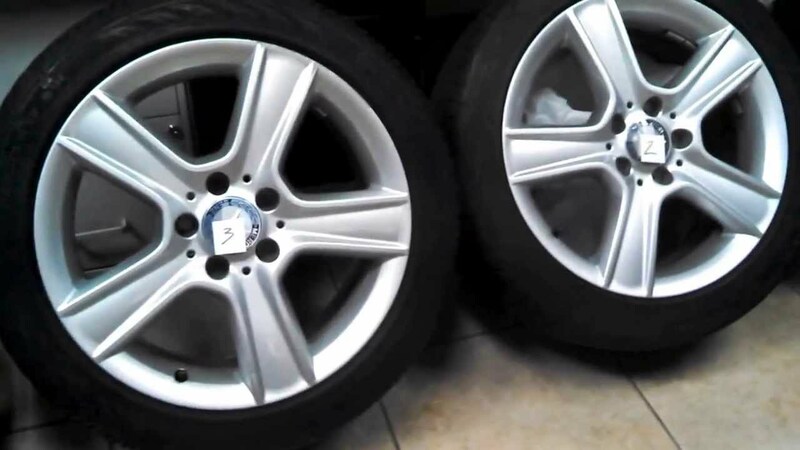 Mostly vehicles come with regular tyres but many like to upgrade their tyres for reasons mentioned above. A vehicle's tyres play a crucial role in the overall design, performance, and handling. 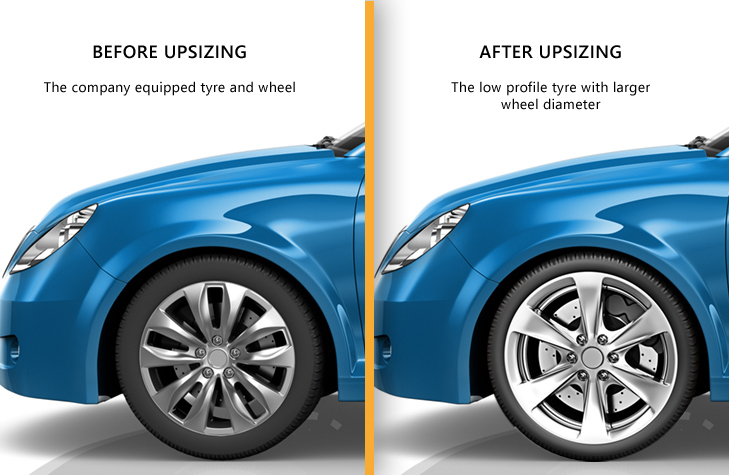 A simple process like upsizing the tyres, or getting your car fit with tyres that are one size bigger may add heaps of design benefits. A car's suspension setup is designed to take a particular tyre size. 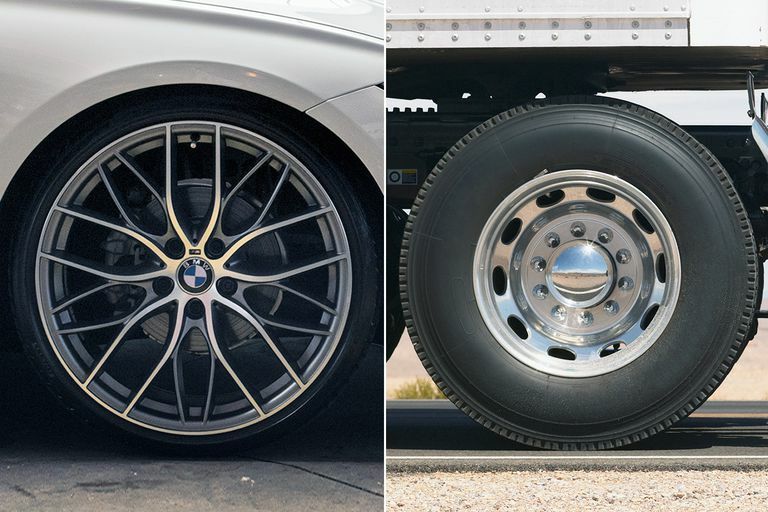 If the tyre has been upgraded to a size bigger than what the company has recommended, the suspension will not be able to soak up bumps as efficiently compared to a vehicle with the original tyre size. Also, if the wheel wells do not have sufficient space, you would risk the tyre scraping against the vehicle's body. Similar to gaining better handling, the contact patch goes up as well, since upgrading the size means there's more rubber. Better contact patch also means better braking. utilizes the same wheel diameter as the OE tyre but combines it with a tyre which has a larger section width and a smaller aspect ratio than the OE tyre. utilizes a one-inch larger diameter wheel in comination with the tyre which has a one-step lower aspect ratio than the OE tyre. utilizes a two-inch larger diameter wheel in combination with the tyre which has a two-step lower aspect ratio than the OE tyre. Our aim is to be more than a tyre wholeseller we believe it is important to support our clients in other area as well.